Finance from only £30 p/w! With sleek retro styling outside and in the cabin, the Fiat 500 stands out from the crowd. A compact body ensures this city car is right at home in urban environments where crowded streets and tight parking spaces are the norm. Practical too, there's room for two adults to sit comfortably in the rear while the car's boot is impressive for a vehicle in this class. 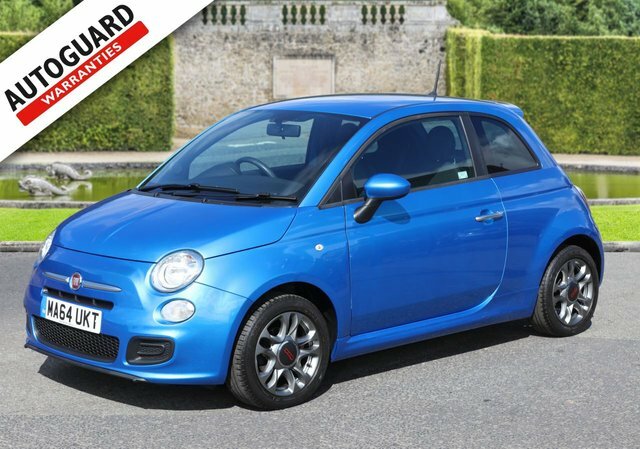 Take a closer look at the complete lineup of used Fiat 500 cars for sale in Wrexham by paying a visit to Hope Motor Company today. You can also view our stock here on the website and arrange a test drive by contacting our showroom team. Finance is available to UK residents aged 18 years or older, subject to status. Terms & Conditions apply. Indemnities may be required. Other finance offers may be available but cannot be used in conjunction with this offer. We work with a number of carefully selected credit providers who may be able to offer you finance for your purchase, commission may be received. We are only able to offer finance products from these providers. Postal Address: Hope Motor Company, Wrexham Road, Wrexham, Flintshire LL12 9ND. Find contact details here. Hope Motor Company is authorised and regulated by the Financial Conduct Authority, FRN: 681417. All finance is subject to status and income. Written Quotation on request. We act as a credit broker not a lender. We work with a number of carefully selected credit providers who may be able to offer you finance for your purchase. We are only able to offer finance products from these providers.